I made this kind of late one night last week and it was so good we just scarfed it down. No pictures or anything! So I thought I’d make it again and share it with you this time. The recipe morphed a bit. The first time I made it I used half a granny smith apple thinly sliced. This time I wanted to use up a grapefruit, pomegranate and some tangerines. I use and recommend only organic ingredients. 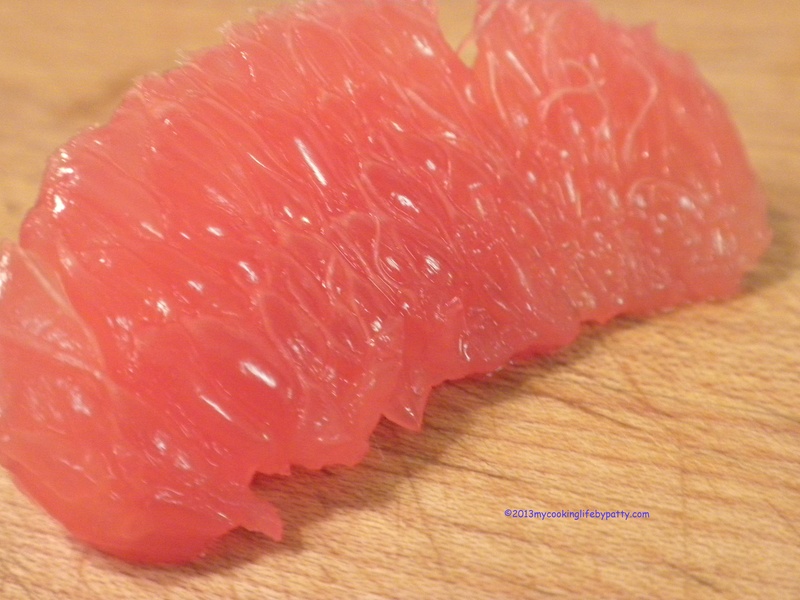 First “supreme” the grapefruit by removing the top and bottom and then carefully slicing away the sides. 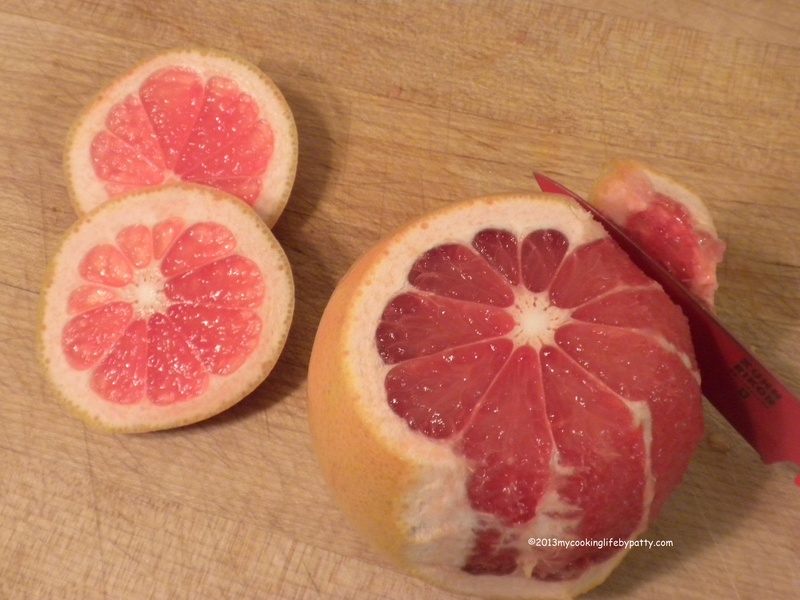 Turn the grapefruit over and continue trimming the peel. 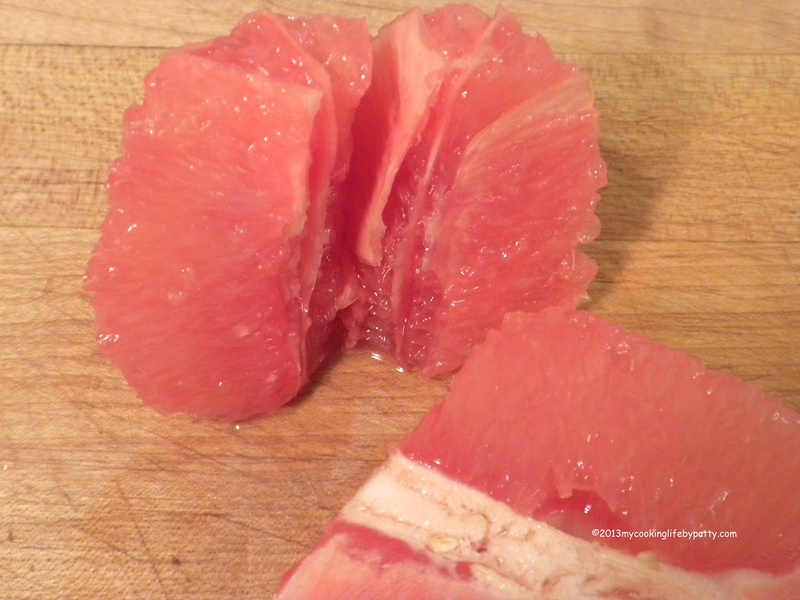 Then open the grapefruit and clean the pith and any seeds in the center. Separate the sections, removing all the connective tissue. 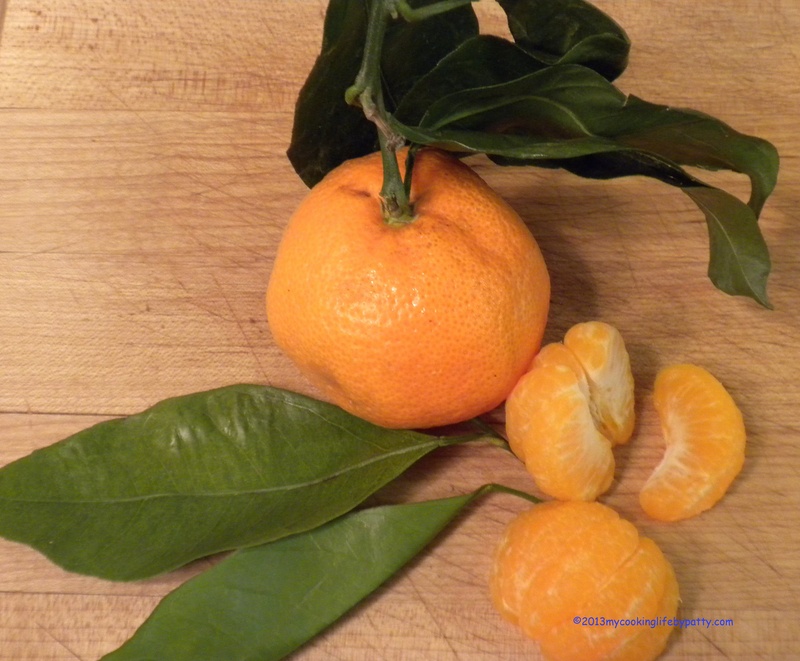 Now peel the tangerines, removing all the white pith. I used Satsuma tangerines which separate very easily from their skin. 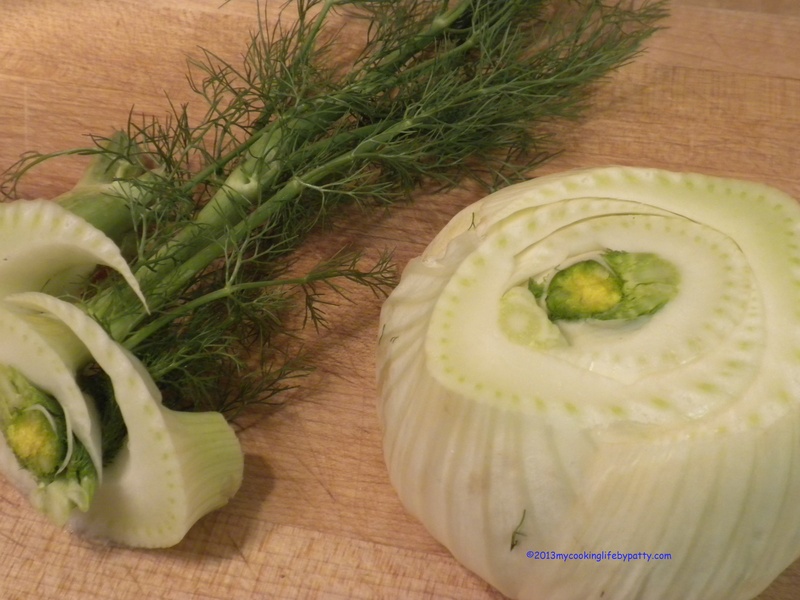 Wash the fennel bulb and remove the top and trim the bottom. Cut the bulb in half and slice it thinly. 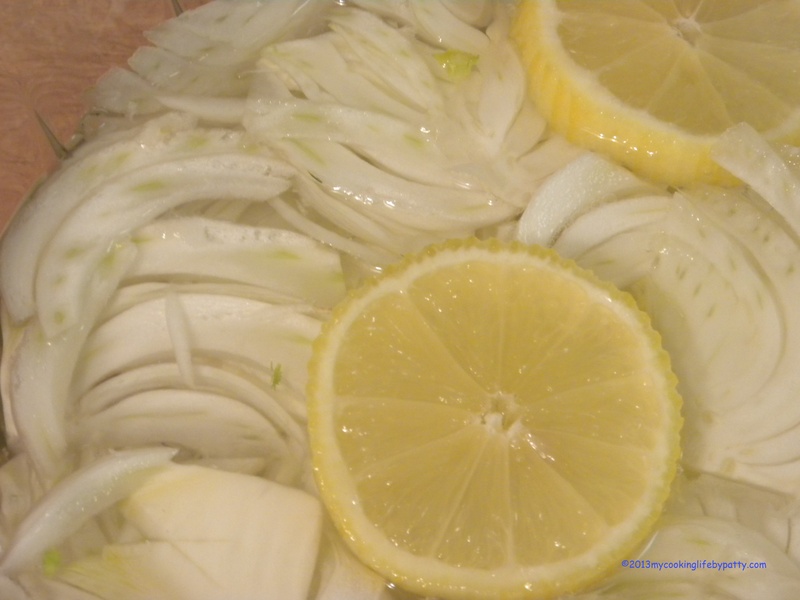 I put my sliced fennel in a bowl of cold water with some lemon slices to keep it from discoloring or wilting while I finished prepping the salad. Slice the celery. I cut it at a strong angle to create longer slices and take advantage of the texture. 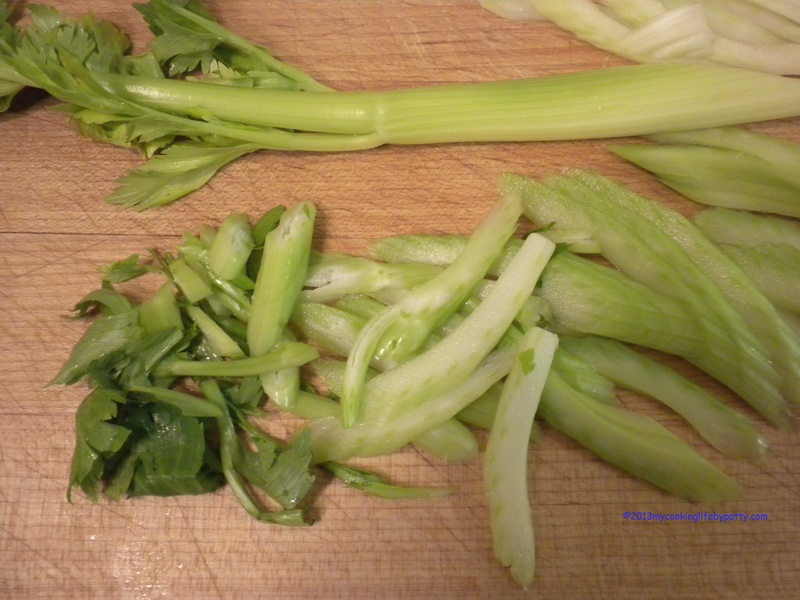 The celery leaves were in good shape so I used them too. 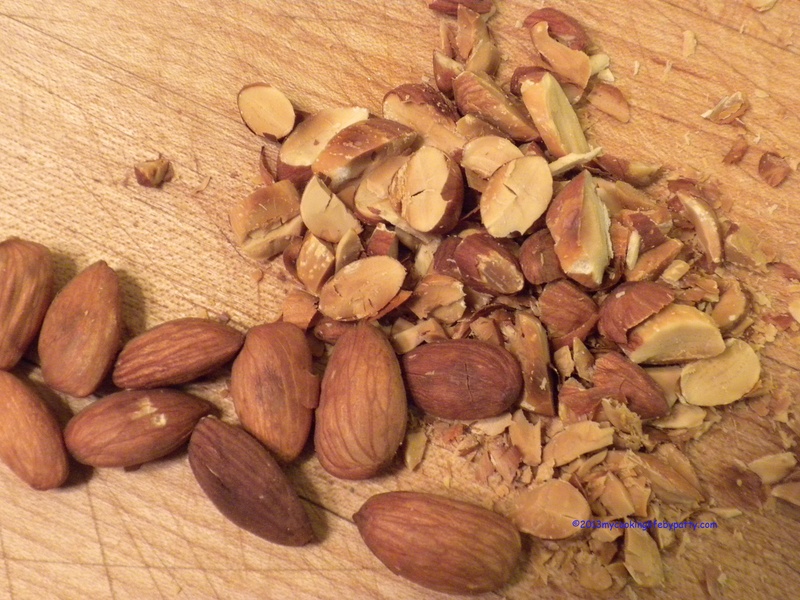 Wash raw almonds in cold water and lay them out in a single layer in a baking pan. Roast at 350 until they smell aromatic and begin to brown. When they are cool, slice them up. 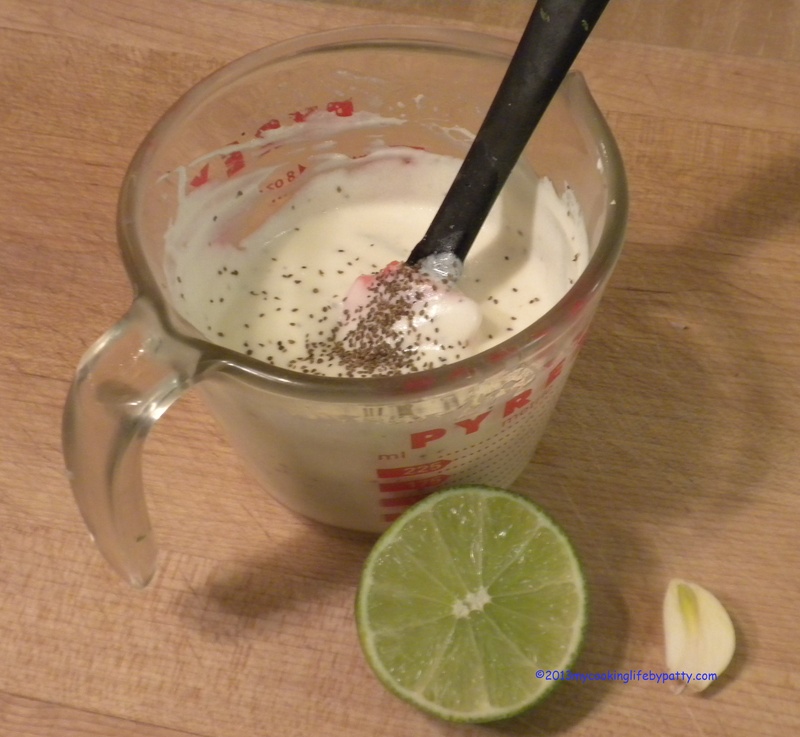 Mix the yogurt, cider vinegar, olive oil, lime juice, garlic, lime zest, salt, pepper and celery seed. Voila! Dressing! *I used an underwater method of seeding my pomegranate which I got from Saveur.com. See the video here. 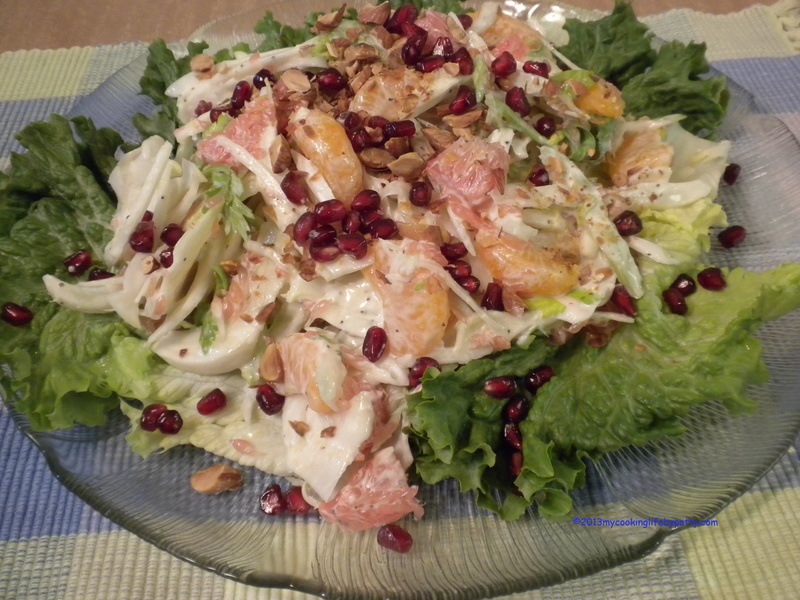 This entry was posted in Cooking, Recipes, Salads and tagged fennel, grapefruit, how to supreme citrus fruit, roasted almonds, salad, Satsuma tangerines, yogurt dressing by mycookinglifebypatty. Bookmark the permalink. Looks and sounds delicious. Beautiful pix as well! Thanks! I’ve been striving to improve my food photography. “Baby Love” Ha! Wish I’d thought of that! My mother liked to serve canned “French style” green beans and they were super limp and watery. I’m with you and your kids, Sis, I like ’em crunchy and just warmed up. Thanks for the link, too! You must of been up till two am putting this together if you started late at night. Sounds intriguing though. Not exactly. The first time I did it, it was easier to just slice up the green apple and the rest and throw the dressing together. But this time I got fancy with the citrus fruit and pomegranate. What takes longest is photographing! I just had a look in my fridge and I have all the ingredients at hand..making this tonite! That coolio! How did it turn out? Hmmm. You’ve got me thinking of a winterized version! Love pairing fruit with fennel. And nice photos of the supreme technique. I’m impressed – I am usually too impatient to supreme supremely. Thanks! That is what I spent the most time on and honestly it was the first time I’d done it myself. I liked how it came out and it didn’t take all that long. This sounds so interesting ~ may have to give it a try! Thanks – and you really don’t have to measure anything or stick to the recipe exactly.